Nothing can provide ultimate relaxation like a massage. From a calming touch, to the pleasure of soothing sore muscles, a regular massage can do wonders for your health. 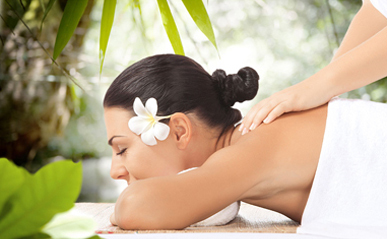 Get the massage that’s right for you from our experienced professionals! You will leave feeling refreshed and rejuvenated. Reflexology treatments, focused on using pressure points, are also available. Today’s the day to take some time out to care for your body. Make an appointment now! Take some time out of your busy life to unwind. Call today!